Oncology Massage is a gentle, nurturing and effective massage that safely addresses the needs of a cancer patient or anyone with a history of cancer (or other degenerative illness). Oncology Massage therapists understand the science and pay close attention to the physical, emotional and psychological needs of a client during diagnosis, treatment, recovery, survivorship or palliative care. 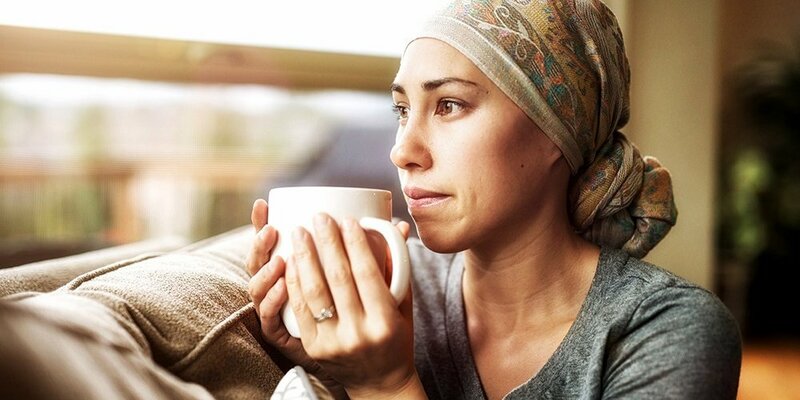 People who have cancer or a history of cancer should see a qualified Oncology Massage Therapist, as these therapists have the proper training to assist with the unique requirements that cancer presents. Oncology massage is beneficial for cancer patients, elderly clients, or clients with a health issue that leaves them weak or with reduced energy levels. The massage techniques used are gentle and slow and induce deep relaxation in the body which also helps to calm the mind. Oncology massage is a specialised massage technique adapted to the client's unique state of health. It is a safe and complimentary therapy for clients undergoing allopathic treatments for their health issues. Oncology massage therapists are highly trained and equipped for different types of cancer and other health conditions and will make adjustments for a person’s current state of health. We design a suitable treatment plan for the individual with cancer and make site, position and pressure adjustments. Most importantly we ensure that we cause no harm. Oncology massage therapists are trained to treat the person holistically ensuring that the massage is personalised for the clients unique experience in the present moment. For people used to deep tissue massage it is natural to question how Oncology Massage works, when it is gentle. When people hear "massage" they think of vigorous, deep, soft tissue manipulations. Oncology Massage is the opposite - it is slow, gentle and safe, mindful touch. It is also very effective. Mechanoreceptors are sensory neurons that respond to mechanical stimuli such as touch and movement, and are located within joint capsular tissues, ligaments, tendons, muscle, fascia and skin. Fascia is a fine connective tissue matrix surrounding every tissue in the body including bones, muscles, and organs. There are several types of mechanoreceptors that respond to different forms of touch and movement. Deep tissue and vigorous massage techniques are not suitable for a cancer patient. In oncology massage we only use gentle and slow massage strokes. Of all the mechanoreceptors, the interstitial receptors are the most abundant, and they are located abundantly within the fascia. Half of the interstitial nerve receptors respond to gentle touch. The interstitial mechanoreceptors are linked with the autonomic nervous system. This means that when stimulated with gentle touch they send a signal to the autonomic nervous system, stimulating the parasympathetic branch of this system - causing the ‘relaxation response’. Tension and pain in muscles will therefore be reduced and the relaxation response can also relieve general pain in the body. Oncology Massage is deeply relaxing because of the gentle and slow strokes. The pace of the massage causes the mind to slow down and the client will often feel more present awareness and calm because of this. Beneficial neurohormones may be released during massage, including endorphins which can reduce pain in the body (and more research needs to be done on this). Clients often report a feeling of well-being and reduction or cessation of pain. Endorphins use the same receptor sites as opioids - having a morphine like effect on the body. Serotonin, dopamine and oxytocin may also be released as some research has suggested, and many clients report feeling less anxious or less depressed as a result of regular massages. Epigenetics: Every cell in your body has a cell membrane, this cell membrane dictates what enters and leaves the cell. The cell surface receptors interact with the interstitial fluid (the fluid surrounding cells in your body). The interstitial fluid is comprised of water, proteins, nutrients, hormones, which are affected by such things as environmental toxins, what we eat and also what we think and feel because the mind and body are linked - your thoughts literally change your chemistry as they can cause neurohormones to be released. Eating well, reducing stress, and minimising toxins can help to create a healthy environment (interstitial fluid) for the cell which in turn effects which cell surface receptors are activated and therefore what enters and leaves the cell. Experiencing "happy" hormones or "molecules of emotion" such as anandamide, serotonin and endorphins will likely effect the health of a cell positively, as the "good stuff" is let into the cell. How does this relate to massage? Because massage causes the relaxation response which can encourage these beneficial neurohormones. These hormones have a natural analgesic (pain-reduction) effect on your body. In various medical research studies massage has been shown to be effective for side-effects of cancer and cancer treatment such as: pain, anxiety, depression, insomnia, fatigue and nausea. Lymphatic Drainage - Does it differ to Oncology Massage? For information on lymphoedema, including treatment please see: The Australasian Lymphology Association. Oncology Massage is not to be confused with Manual Lymphatic Drainage. For cancer patients experiencing oedema or lymphoedema, first you should seek help from a suitably qualified professional in this area. Once your oedema or lymphoedema is being treated then you may also have an Oncology Massage. Oncology Massage therapists work with clients with these conditions, however it is important that you are seeking treatment and managing your lymphoedema. I have undertaken Lymphatic Drainage massage in my studies and understand how it works, and have practised it at times, however I do not specialise in this. In regards to Oncology Massage, I work in a safe way to ensure your lymphoedema or oedema is not worsened from massage treatment. For those clients free of lymphoedema, who have a damaged lymphatic system (e.g. radiated lymph nodes, or lymph nodes surgically removed), I work in a safe way to ensure you are not put at risk for developing lymphoedema due to massage. Oncology Massage therapists are trained in such a way to eliminate that risk. This is one of the many reasons why a person with cancer (or history of cancer) needs to see a qualified Oncology Massage Therapist.